It is of the most multi-cultural nations on the globe famous for its history and culture. Majority of the people living in Johannesburg, Cape Town, Durban, Pretoria, Port Elizabeth etc love to send flowers on birthdays, anniversaries and Christmas. When someone invites you to visit their home in here, preferably carry flowers, good quality chocolates or a bottle of South African wine. Gladioulus, Antirrhinum, Rhododendron, Protea, Strelitzia, Rose and Lobelia are some of the local grown flowers here. 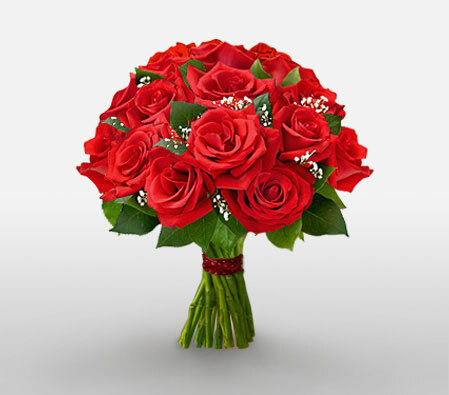 Send flowers same day to South Africa using our local florists & flower shops. Order by 12 noon. Send Easter Flower Arrangement, Easter Hampers & Gift Baskets to South Africa. Send Roses, Carnations, Lilies throughout South Africa for occasions like Birthdays, Anniversaries, Funerals, etc. Enjoy affordable flower delivery across Cape Town, Johannesburg, Durban, Benoni & nationwide delivery. How do i send International Flower Delivery to South Africa? 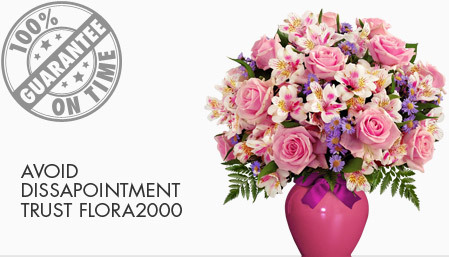 Flora2000 has transformed International flower delivery to South Africa into a fine and effortless art. With our efficient flowers & gifs delivery services worldwide; you are sure to find the perfect expression of your message to your loved ones. Be it Roses, Lilies, Carnations or Cakes, our gifts are sure to make both the sender and the receiver happy. We make sure the gifts you give reflects what you feel about the receiver. It is the southernmost country in Africa. South Africa is of the most multi-cultural nations on the globe. This incredible country is famous for its history and culture. Majority of the people live in Johannesburg, Cape Town, Durban, Pretoria, Port Elizabeth etc. and love to present gifts to their loved ones. Gifts are mostly given on birthdays and Christmas. 21st and 40th birthdays are celebrated with large parties. When someone invites you visit their home, preferably carry flowers, good quality chocolates or a bottle of South African wine for him/her. Gladioulus, Antirrhinum, Rhododendron, Protea, Strelitzia, Rose and Lobelia are some of the local grown flowers. We have an exclusive collection of flower arrangements, hampers & baskets for this Easter. Our classy collection of flowers & Gifts for Easter to South africa.